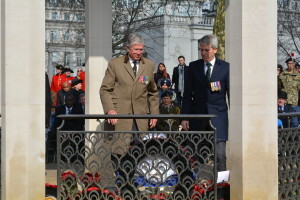 The Commonwealth Memorial Gates Service was held on 14 Mar 16 at Hyde Park Corner. 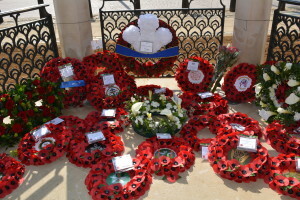 It was dedicated to the people of Africa, the Caribbean and the five regions of the Indian subcontinent (Bangladesh, India, Nepal, Pakistan and Sri Lanka) who served in the British Armed Forces during the two World Wars. 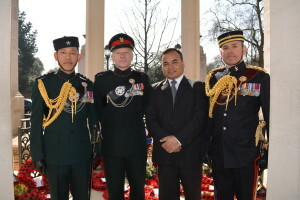 Delegates from Headquarters Brigade of Gurkhas attended the ceremony, including Colonel Brigade of Gurkhas, Colonel J G Robinson and the two Queen’s Gurkha Orderly Officers, Captain Mukti Gurung and Captain Buddhi Bhandari. 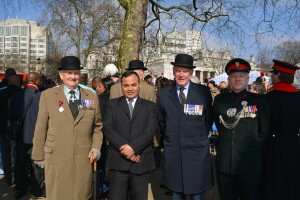 Other notable attendees included Field Marshall Sir John Chapple GCE CBE, Lt Gen Sir Peter Duffell KCB CBE MC and representatives from Commonwealth countries including the Charge d’Affairs of the Nepalese Embassy, Mr Tejbahadur Chhetri. The Service was very memorable. 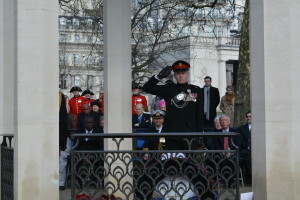 This was followed by the Last Post and laying of the Wreaths. 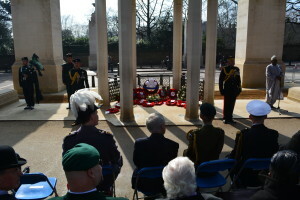 Colonel Brigade of Gurkhas laid a wreath on behalf of all ranks of The Brigade of Gurkhas in memory of those who volunteered from Nepal to serve in the Gurkhas. 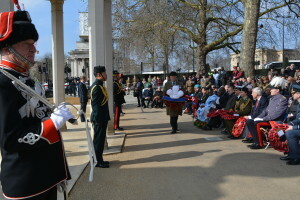 The event was an excellent dedication to all ranks from Africa, the Caribbean and Indian subcontinent who served in the British Armed Forces in the World Wars. Inside the roof of the traditional Indian Chattri are the names of all the Victoria Cross holders of the Indian Army, including the 15 members of Gurkha Regiments awarded the VC in WW1 and WW2. In total 26 VCs have been awarded to Gurkha Regiments.